The work once again highlights doubts about the number of real genes present in human cells 15 years after the sequencing the human genome. The work, published in the journal Nucleic Acids Research, is the result of an international collaboration led by Michael Tress of the CNIO Bioinformatics Unit along with researchers from the Wellcome Trust Sanger Institute in the United Kingdom, the Massachusetts Institute of Technology in the United States, the Pompeu Fabra University and the National Center for Supercomputing (BSC-CNS) in Barcelona, and the National Center for Cardiovascular Research (CNIC) in Madrid. 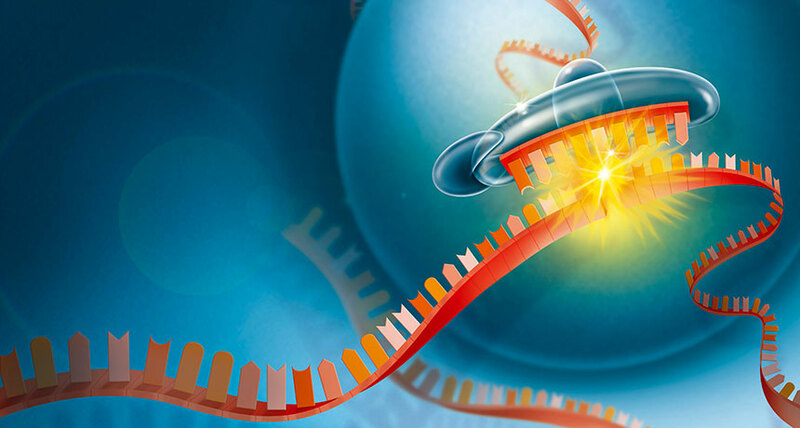 Since the completion of the sequencing of the human genome in 2003 experts from around the world have been working to compile the final human proteome (the total number of proteins generated from genes) and the genes that produce them. This task is immense given the complexity of the human genome and the fact that we have about 20,000 separate coding genes. The researchers analyzed the genes cataloged as protein coding in the main reference human proteomes: the detailed comparison of the reference proteomes from GENCODE/Ensembl, RefSeq and UniProtKB found 22,210 coding genes, but only 19,446 of these genes were present in all 3 annotations. When they analyzed the 2,764 genes that were present in only one or two of these reference annotations, they were surprised to discover that experimental evidence and manual annotations suggested that almost all of these genes were more likely to be non-coding genes or pseudogenes. In fact, these genes, together with another 1,470 coding genes that are present in the three reference catalogs, were not evolving like typical protein coding genes. The conclusion of the study is that most of these 4,234 genes probably do not code for proteins.The study is already paying off, according to the scientists. "We have been able to analyze many of these genes in detail," Tress explains, "and more than 300 genes have already been reclassified as non-coding." The results are already being included in the new annotations of the human genome by the GENCODE international consortium, of which the CNIO researchers are part. The work once again highlights doubts about the number of real genes present in human cells 15 years after the sequencing the human genome. Although the most recent data indicates that the number of genes encoding human proteins could exceed 20,000, Federico Abascal, of the Wellcome Trust Sanger Institute in the United Kingdom and first author of the work, states: "Our evidence suggests that humans may only have 19,000 coding genes, but we still do not know which 19,000 genes are." For his part, David Juan, of the Pompeu Fabra University and participant in the study, reiterates the importance of these results: "Surprisingly, some of these unusual genes have been well studied and have more than 100 scientific publications based on the assumption that the gene produces a protein. " This study suggests that there is still a large amount of uncertainty, since the final number of coding genes could 2,000 more or 2,000 fewer than it is now. The human proteome still requires much work, especially given its importance to the medical community. The work has been funded by the US National Institutes of Health.